Nevada Cooper, Carlos Luckett, and Darren Parker, owners of The Executive Valet, Inc. join in the Ribbon Cutting. 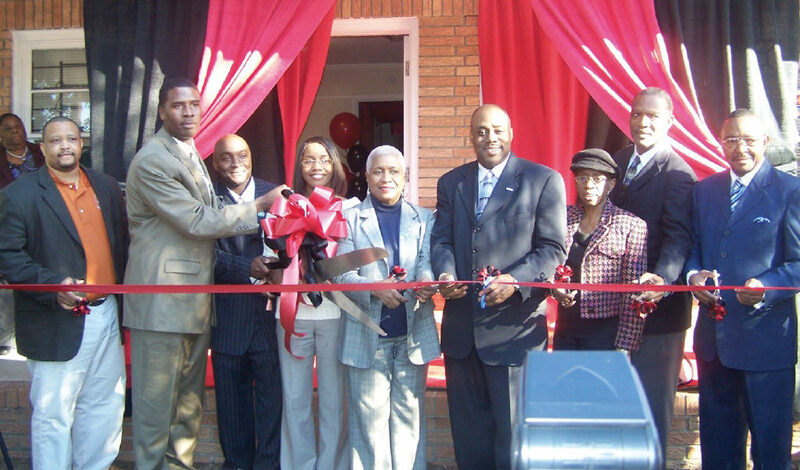 The Savannah Development and Renewal Authority (SDRA) hosted a ribbon cutting ceremony for The Executive Valet, Inc. Wednesday, January 14, 2009 at 902 Martin Luther King Blvd. Located centrally between Savannah’s major parking garages. Executive Valet, Inc. provides valet service to businesses located in the greater downtown Savannah. The company’s mission is to provide professional, friendly, and convenient parking service. Incorporated in 2008 in Savannah, Georgia, Executive Valet, Inc. is admired for its professionalism and great customer service. The company’s business philosophy is based on consistent quality service and integrity. The company wants its customers to relax when your car is in there hands. Representatives from the City of Savannah, Savannah Development and Renewal Authority, the Martin Luther King, Jr. Blvd. / Montgomery Street Business Association and the Downtown Business Association were invited to serve as guest speakers at the event.